The Editorial this week highlights:- a. Massive Whale Shark cruising next to La Digue. b. Political will is needed for the consolidation of tourism. c. Increased costs affects viability of tourism. d. Joon will not serve Seychelles next summer. e. Coco de Mer nut sales. Stand alone articles this week:- 1. The Domain de La Reserve, paradise of Seychelles says Marie Claire Magazine. 2. Golf- Vanilla Islands Pro-Am Tour 2018 in Mauritius, December. 3. Journey through Whisky at Club Liberte Casino of Seychelles. 4. Seychelles Tourism Board partnered with Air Seychelles on joint destination training and sales call in Mauritius. 5. Why Family-Owned Hotels Hold The Key To The Hospitality Industry’s Future – Seychelles leading in this niche market for many years. 6. Event tourism boosts high season arrivals in Cape Town. 7. 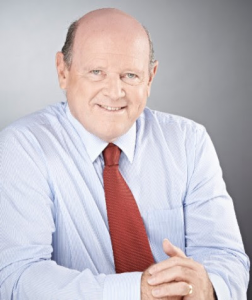 Didier Robert succeeds in his call for a freeze of the fuel tax. 8. Air Mauritius plans to switch their London flights to the Airbus A350. 9. World Tourism & Travel Council (WTTC) hails South Africa’s President Ramaphosa a “Travel & Tourism job creation Champion. 10. Dubai to have the longest Dubai Shopping Festival this year. 11. Air Tanzania first Airbus A220-300 gaining shape. 12. Mombasa’s Moi International Airport to start upgrade works. 13. Tax exemption to tourism investors. 14. Seychelles Tourism Board relaunches Seychelles Ocean Festival. 15. International Newswires continue to republish our Report. Welcome to Edition 47 of the Saint Ange Tourism Report. 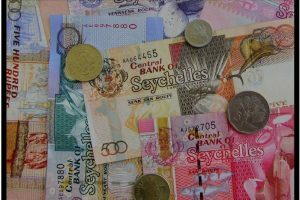 Seychelles is entering its final days of its Budget discussions in the National Assembly and the state of the economy for 2019 will very much depend on what has been approved or disallowed from the proposals presented by Finance Minister Loustau-Lalanne. Tourism, the industry that remains the pillar of the island’s economy is also the jobs provider for many a Seychellois. Tourism is today the industry where the small investors have come forward and working to claim back their tourism industry. Seychelles needs tourism to grow and for this industry to be consolidated for the long term. Sony Parekh of Water World Seychelles is a well known and respected personality. 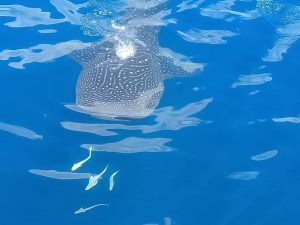 His posting of pictures of the big Whale Shark cruising close to La Digue Island was followed by thousands, especially due to the close proximity of the ‘gentle giant’ to the boat. Seychelles has it all. The list of key USPs surprises many. Today, as we look at the Whale Shark cruising next to La Digue Island in turquoise blue seas that is clear and clean, is just another example of how blessed Seychelles remains as a mid-ocean group of islands. Key USPs are the base for marketing of tourism destinations, but they are not enough in this very competitive world we live in. Tourism destinations, as is the case of Seychelles today, must also be supported by its Government with the political will to want its tourism industry to succeed. 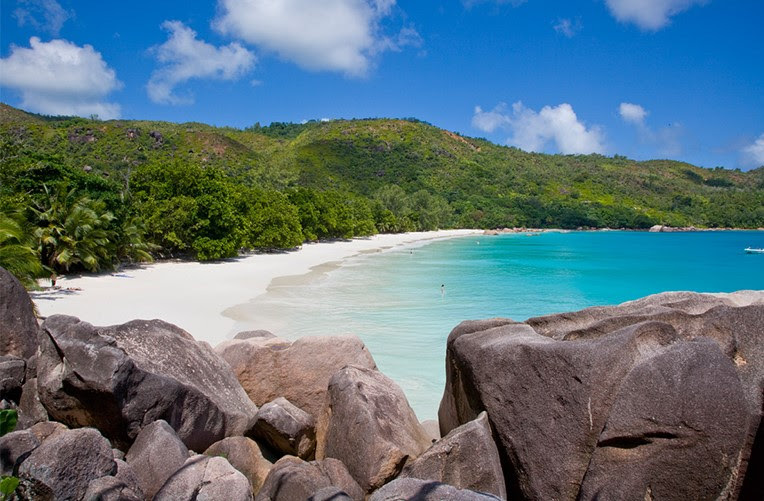 Just another white sandy beach in SeychellesThe Whale Shark, the white sandy beaches, the climate that gives Seychelles the connotation of the islands with perpetual summer, the flora and fauna, and the culture, are all part of this long list of key USPs. These are what Seychelles has been blessed with and what we need to care for and be seen to be good custodians of our country’s assets. But to make it, the Government must understand tourism, and appreciate that it has no mandate to price Seychelles out of the market. Any Government taxes and fees are, and will always be, passed on to the visitors. So the more a Government imposes taxes and fees, the more expensive the destination becomes. The question that remains is how long before ‘increase of cost’ breaks the industry. A thirteen month salary for all foreign workers is today being discussed. The residency status of foreign staff is up for re-discussion, with more control on contracts and with all costs for recruitment, to be placed on the employer. These are simple messages but with big repercussions for the viability of tourism. 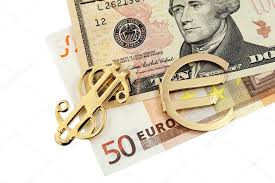 The Seychelles economy is facing pressure and foreign exchange in banks was very much on the low side, pushing some Banks to call foreign currency earners, to encourage them to convert their takings into rupees. 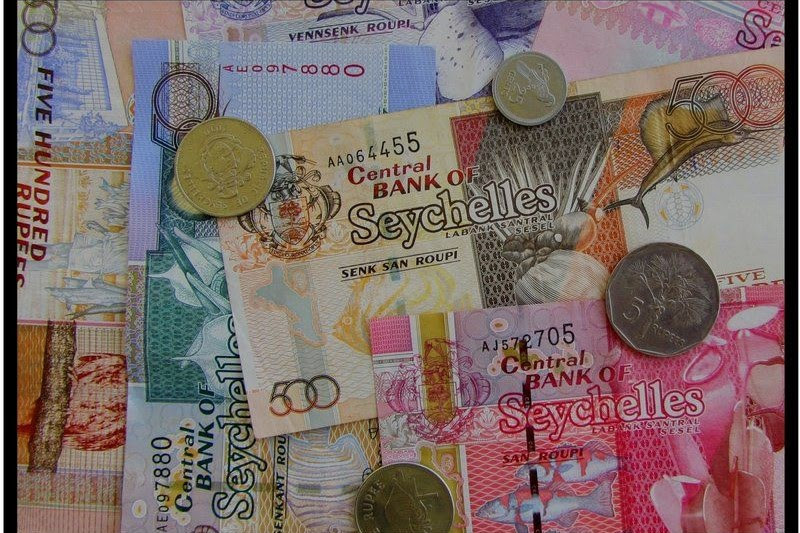 This situation is not event cleared with a return to normality, and yet Seychelles is embarking on further drain of its foreign exchange intake, by introducing a thirteen month salary for all its expatriate staff. The question for Seychelles is whether its Tourism Industry is able to accommodate any further increases in operating costs. Added costs arrive as the tourism situation is in need of clear guiding strategies and policies. Airlines, DMCs and Tour Operators need new hotel rooms. Seychelles is in need of new services and facilities and the people of Seychelles need jobs. Today, airlines are feeling the pinch in rising costs. Fuel prices are beyond the control of the islands, but handling charges remains a Government of Seychelles affair and ensuring that airlines flying to Seychelles has “bum in seats” for their continued service of the route. Air Journal France reports that Air France’s low-cost airline, Joon, will not operate the line between Paris and Mahe during the upcoming summer season. Inaugurated in May 2018 between its base in Paris-CDG and the airport, the capital of Seychelles, Victoria, the Air France subsidiary offers Seychelles three times a week by an Airbus A340-300 for 30 passengers in business class, 21 in Premium and 224 in Economy. But according to AirlineRoute, these flights will stop on May 12, 2019 supposedly to resume on October 27, 2019. Meanwhile, the departures of Joon are scheduled this winter Monday at 17:35 (arriving the next day at 6:45) and Friday and Saturday at 17:10 (arriving the next day at 6:20); the return flights leave the archipelago of the Indian Ocean Tuesday at 8:30 (arrival at 15:55) and Thursday and Sunday at 8:20 (arrival at 15:50). Joon is without competition on this route, Air Seychelles having ended its flights between the two capitals in late April (a link relaunched in July 2015 after having already been abandoned in March 2012). In 2009, Air France signed a first code-sharing agreement with the Seychelles national airline, which was relaunched in August 2015. Mahé was Joon’s fifth long-haul destination after Cairo in Egypt, Tehran in Iran (stopped in late October), Cape Town in South Africa and Fortaleza in Brazil, before opening a line to Mumbai in India on 18 June, to recover from his mother-house Paris – Saint Martin in August, and to land in Quito in Ecuador at the end of September (a new destination in the Air France network). By the summer of 2019, it will also be offering fourteen medium-haul destinations from CDG: Madrid, Stockholm, Prague, Manchester, Barcelona, ​​Bergen, Berlin, Budapest, Istanbul, Lisbon, Naples, Oslo, Porto and Rome. A Praslin small hotelier forwarded this screen shot of the Seychelles unique Coco de Mer being put up for sale. Praslin is the home of this unique double nut and the question that has often been aired is whether the people of Praslin are benefiting from this treasure found on their island. 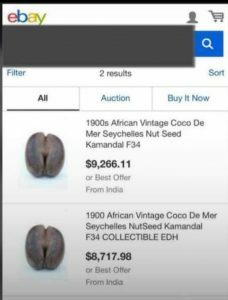 Today we see on eBay nuts located in India are being offered for thousands of US Dollars. This is very much like seeing rhino horns or elephant trunks being sold in foreign lands. Coco de Mer is unique to Seychelles and the custodians of this natural marvel should be in the front line of decision making process of their treasure.